Do you have questions about your upcoming roofing project? We have the answers. Keep reading to find answers to all of the frequently asked questions that we receive from residents in the area — or, as always, you can reach out to us if you’re still curious. 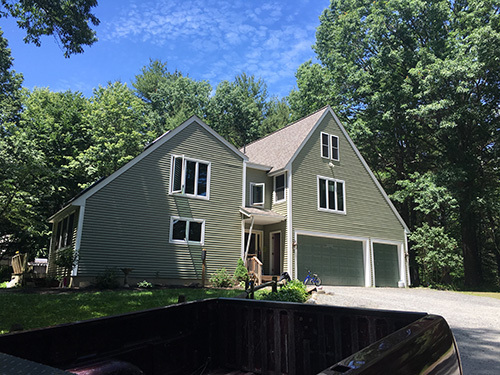 Red Dog’s Roofing proudly provides home roofing solutions for homeowners throughout Fitchburg, Leominster, Gardner, and the surrounding area. What are some indicators that my roof is failing? First and foremost, if you notice a leak, then your roof isn’t doing its job. While some leaks may be easy to locate and repair, other leaks can be difficult to assess, since water can traverse the rafters and interior structure of your roof before it reaches the walls and ceilings of your home. In these instances, it’s best to have us over to perform an inspection to assess the source of a leak, and to provide you with the proper solution. 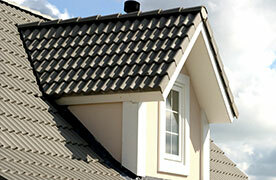 Your roof should shed precipitation easily. If you’re experiencing poor drainage, you may have a sagging roof which will require repairs, or you may simply have blocked gutters (which is a simple fix). Be sure to take care of drainage problems right away, since they can lead to leaks and they can harm the integrity of your roof structure. Have you noticed that parts of your roof have flown off? If you can see missing components, or exposed sub-roofing, then it’s time for immediate repairs. Missing pieces may be an indication of severe weather damage, a poor initial installation, or roofing materials that are worn out. Regardless, you should have your roof repaired right away. Mold can accumulate on certain roof types (especially shingles and wood shakes), and various roofing materials discolor over time. Mold can be cleaned off to help maintain the integrity of your roof. Meanwhile, discoloration may be an indication that your roof is approaching the end of its life. Do I need a new roof? Or are roofing repairs sufficient? These questions really come down to cost. You’ll have to weigh the cost of repairs or replacement against the value you’ll gain out of them. For instance, let’s say that you have a roof that is missing a few shingles. 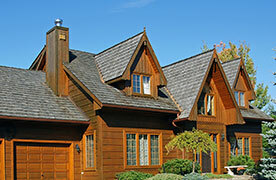 It may be easy and inexpensive to simply repair your roof. That said, your roof may be 20 years old as well — which means that you should consider replacing the roof instead of repairing it. If you’re on the fence about repairs versus a replacement, we can stop by, assess the damage to your roof, and speak with you about the best plan of action for your roof, your budget, and the future of your home. How much does a roofing installation cost? Roofing installation prices vary greatly depending on the roofing material being utilized, as well as the size of your roof. If you’d like a quote for your roof, simply give us a call. You can also learn more about the various typical costs of roofing materials from our residential roofing installation page. What's the best roofing material for my roof? That depends. Some folks choose their roofing material for its aesthetic. Others opt for a material that is affordable. And others still may choose a roofing material due to its longevity. If you’re weighing the pros and cons of the roofing materials out there (e.g. shingles, wood shakes, composite tiles, slate tiles, and metal), then you should check out our residential roofing installation page. We’ve laid out all of the costs and benefits that you’ll need to know to determine the best roofing material to put over your head. Take note, regardless of the material that you choose, here at Red Dog’s Roofing, we can install them all. How much do roofing repairs cost? Again, repair costs will vary depending on the project at hand. Larger projects, including structural repairs, and partial roof replacements, will take more time and cost more. A simple project, like flashing repair around a chimney, won’t cost as much. Reach out to us for an estimate for your repairs. Can I perform roofing repairs myself? While you can perform repairs yourself, we don’t recommend it. Getting on a roof, especially high roofs and steep-slope roofs, can be downright dangerous, especially for those who aren’t experienced or equipped with safety gear. Our guys have worked thousands of hours atop roofs, and we utilize safe practices when scaling your roof to perform repairs. Beyond that, you may not have the tools or knowledge necessary to perform a repair. That means that you could end up causing more damage to your roof, leaving you with bigger leaks, and more costly repairs down the line. Also, if you perform a repair yourself, you may void a warranty that you have on your roof. Be sure to check your paperwork, and call your previous roofer and roofing material manufacturer to ensure that you won’t void a warranty if you hop on the roof to repair it. Plus, if you still have warranty coverage, you may be able to have professional repairs performed with no out of pocket expenses. How long does a roofing installation take? Most roofing installations only take a few days to complete. However, it may take a week or more if you have a home with an especially large square footage, or if you’re having us install more labor intensive roofing materials (e.g. slate tiles or wood shakes). For a more accurate estimate of the roofing schedule for your project, give us a ring. Your roofing system’s longevity will vary depending on the roofing material you utilize, as well as weather conditions and unforeseen events (e.g. a tree falling on your home). That said, asphalt shingles can last anywhere from 15 to 30 years (although some high-end shingles, like those made by Owens Corning®, may last up to 50 years). Wood shakes last between 10 and 40 years. Metal roofs can last between 15 and 40 years. Composite tiles can last 20 years or more. And slate tiles can last at least 30 years, and sometimes as long as a century. My roof is leaking; how do I locate the source of the problem? If you can’t see where a leak is coming from, you may have to have us over to assess your roof. As we mentioned, leaks can be difficult to trace, since water often traverses across rafters and other structural support in your home, before it pours onto a ceiling or down a wall. You may be able to sight roof damage or pooling water from the exterior of your home, but if you can’t, we can stop by to check it out. How can I prepare for an upcoming roofing installation? You can prepare your home for a roofing installation by ensuring that your vehicles are protected (either in the garage, or on the street, away from the home). We recommend that if you’ll have to utilize your vehicle while we’re working on your roof, that you park it away from the home, since we may be working over your garage when you need to access it. In addition, you should protect any property or belongings around the exterior of your home that may be damaged by falling roofing materials and debris. For instance, if you have patio furniture, it may be best to move it away from the home or into your garage for the time being. If you have a pool at your house, be sure to cover it to keep debris out. Also, if you have any hanging valuables on the walls in your home, you should lower them so they don’t fall. While repairs and installations don’t really shake your house all that much, it’s a simple precaution that can protect your belongings. Finally, if you have pets that won’t react well to banging noises, it may be best that you bring them to a sitter or board them while we work on your roof. Roofing can be rather noisy, especially with nail guns in use, and we know that some pets can get stressed out over the commotion. 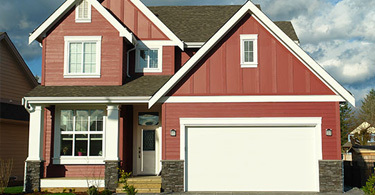 Why should choose Red Dog’s Roofing to complete our upcoming project? We don’t want to boast, but we’re simply the best, local roofing company around. We are dedicated to building lifelong relationships with our valued customers. We’re also an environmentally conscious roofing company, and we pledge to recycle any asphalt shingles that we remove from homes. 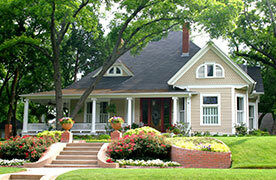 For those that would like an asphalt shingle installation, you should know that we’re also a certified Owens Corning Preferred Contractor company, which means that we can provide unparalleled warranties, and you can trust that our workmanship, alongside your Owens Corning shingles, will provide you with a dependable roof. We also work with a variety of other roofing materials, including wood shakes, composite tiles, slate, and metal, and we work with high-end manufacturers to provide you with a trustworthy roofing solution. Find out the Red Dog’s difference for yourself. Schedule an appointment today to get started!